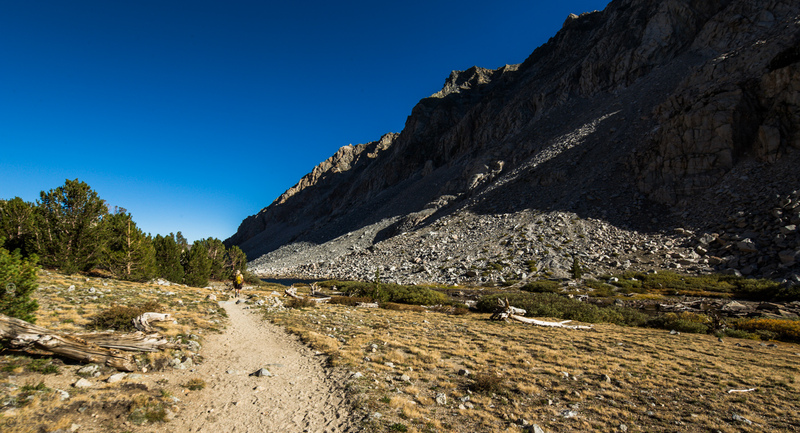 Most summers while I was a teenager included at least one long backpacking trip of a week or more with my father and brother. 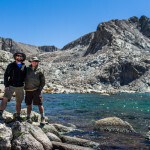 Over the last three years, my Dad and I (unfortunately my brother lives too far away to join us) have started back up doing an annual backpacking trip. 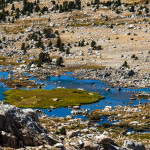 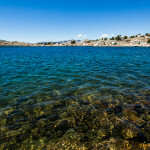 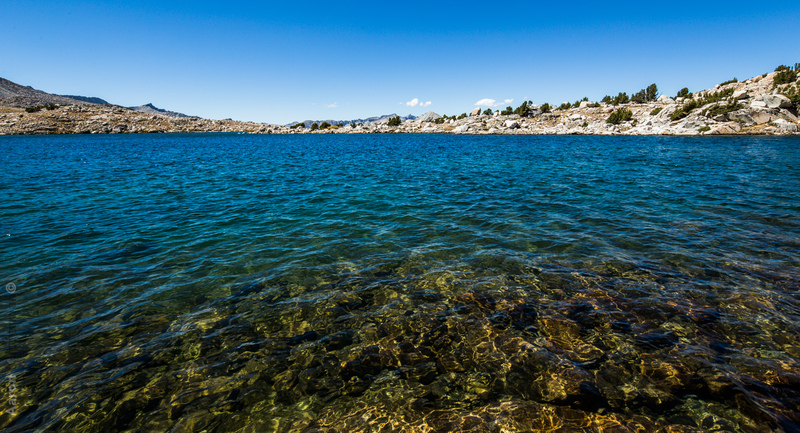 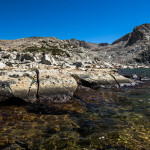 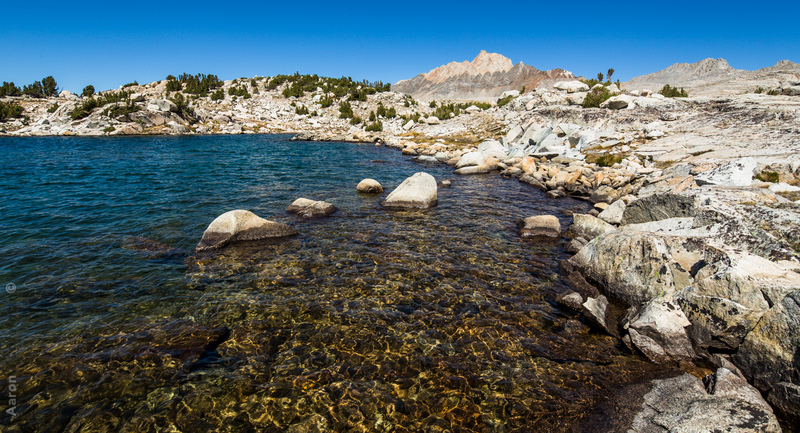 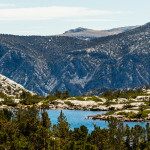 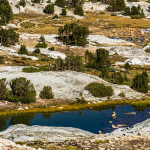 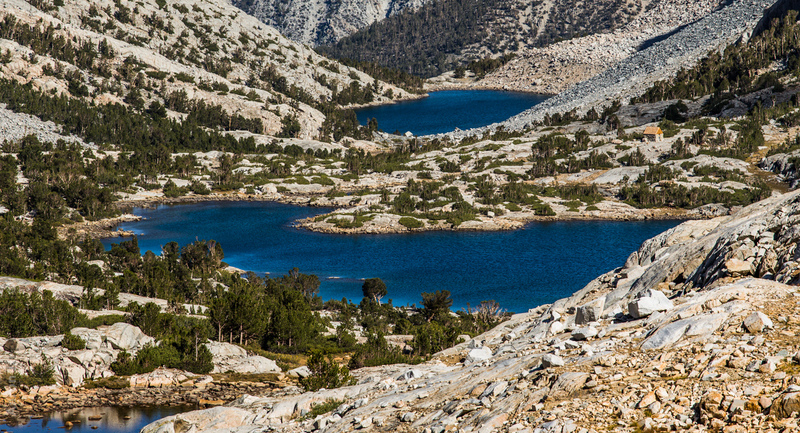 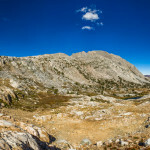 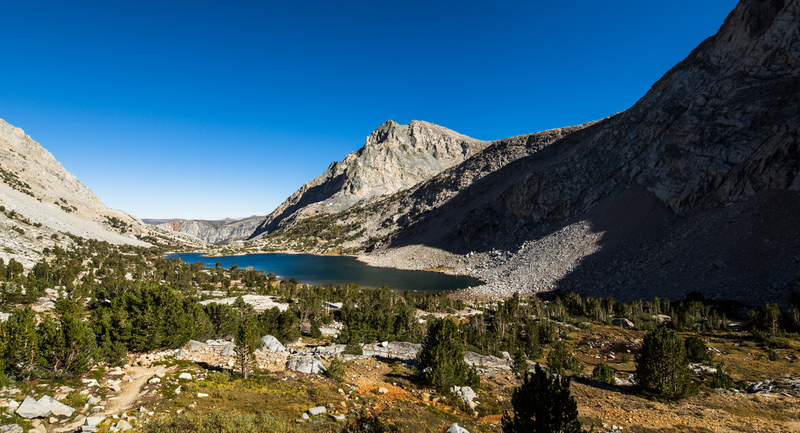 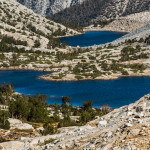 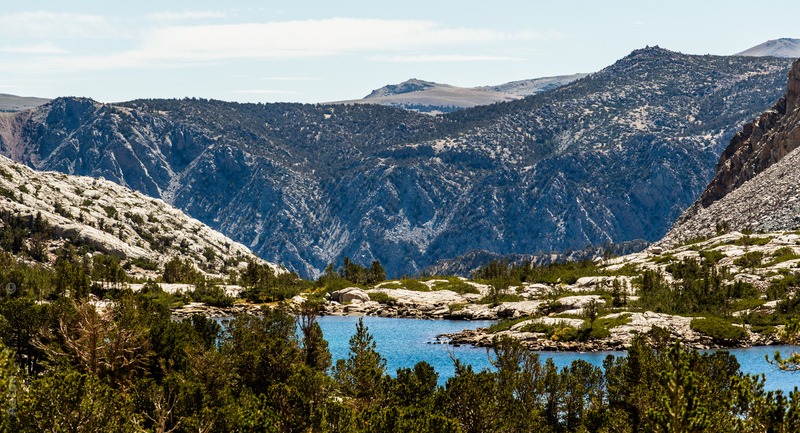 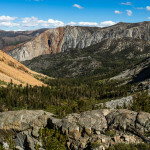 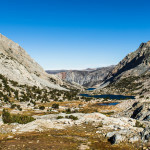 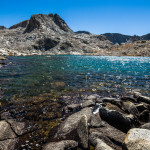 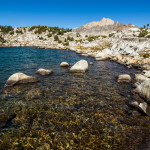 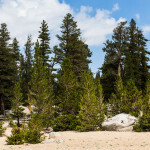 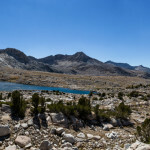 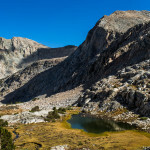 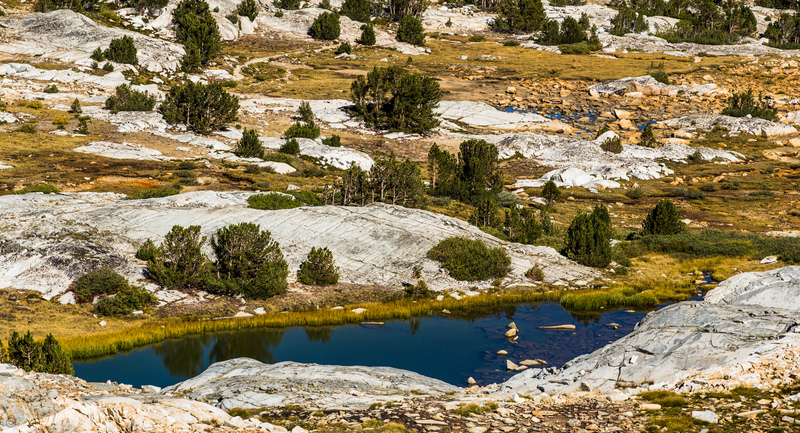 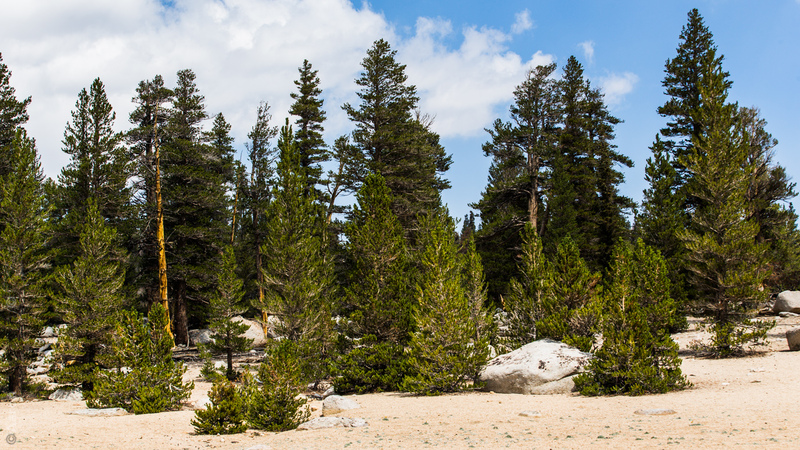 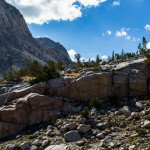 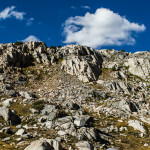 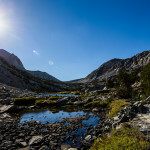 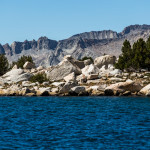 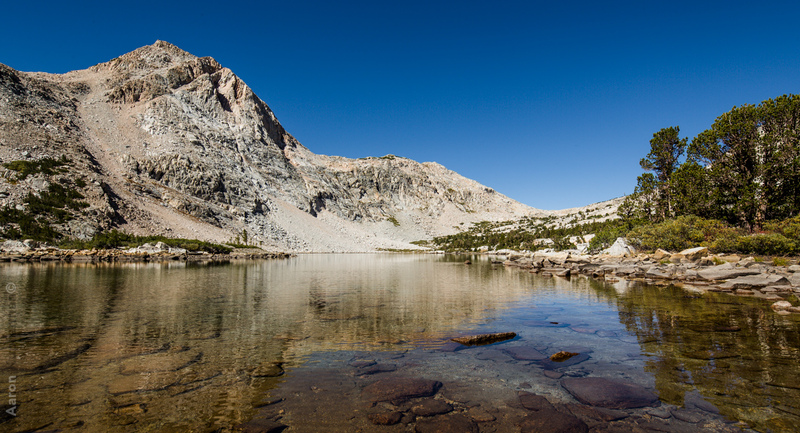 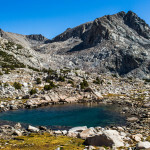 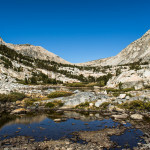 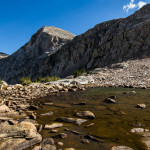 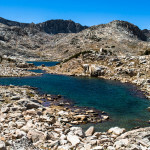 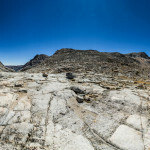 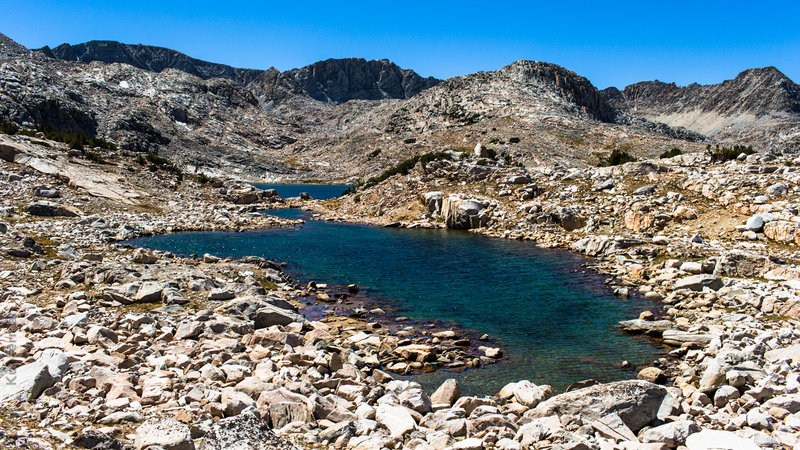 The previous two years were to the Desolation Wilderness and Chicken Foot Lake. 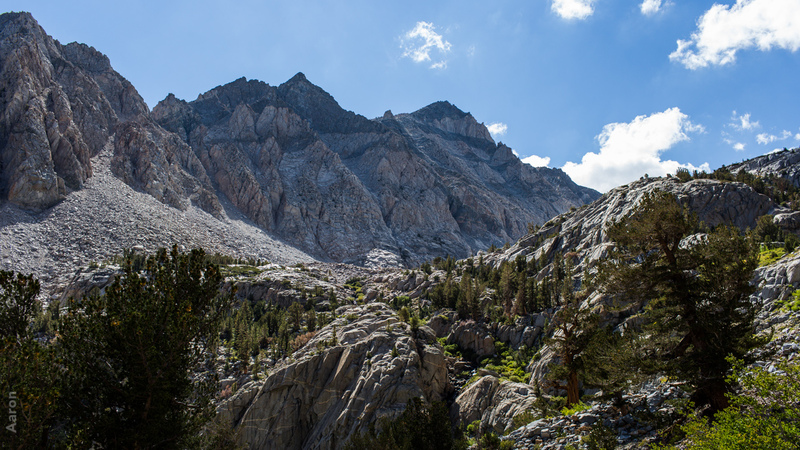 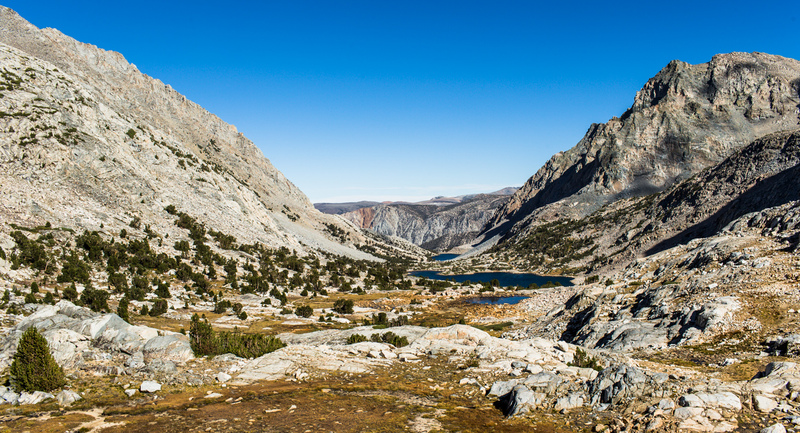 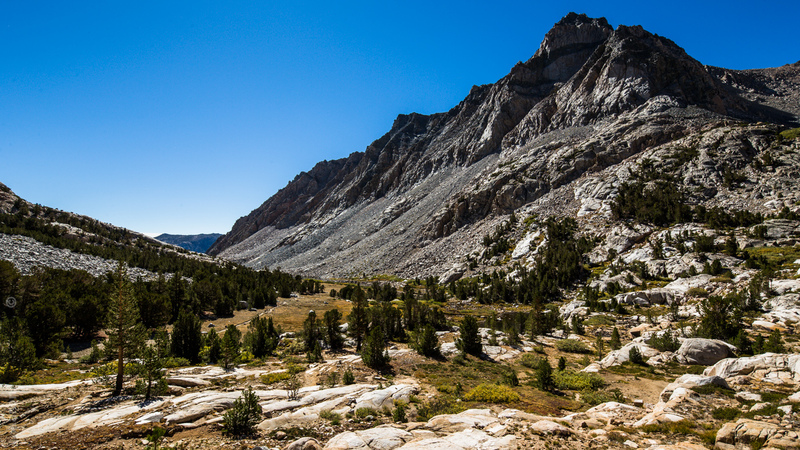 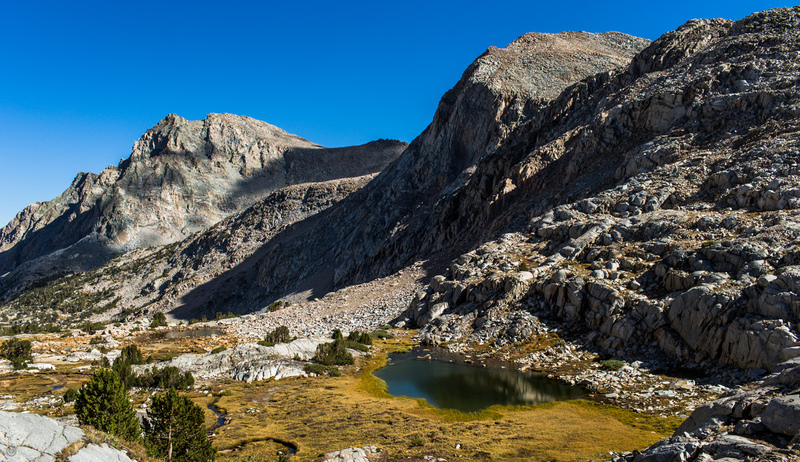 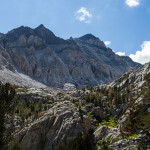 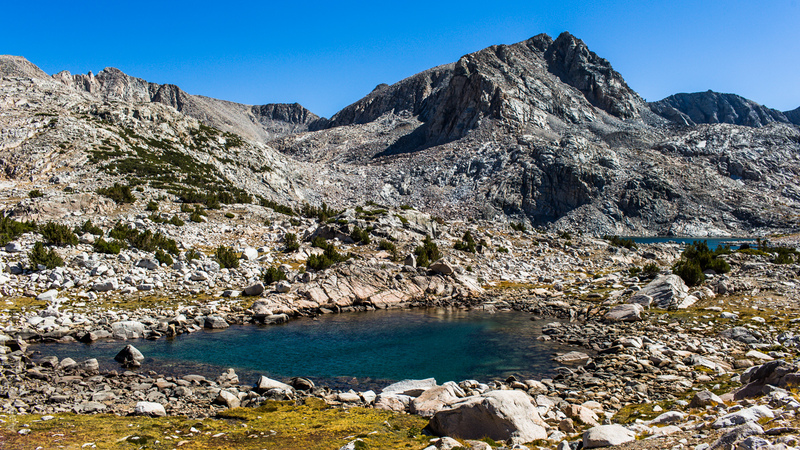 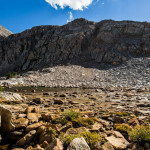 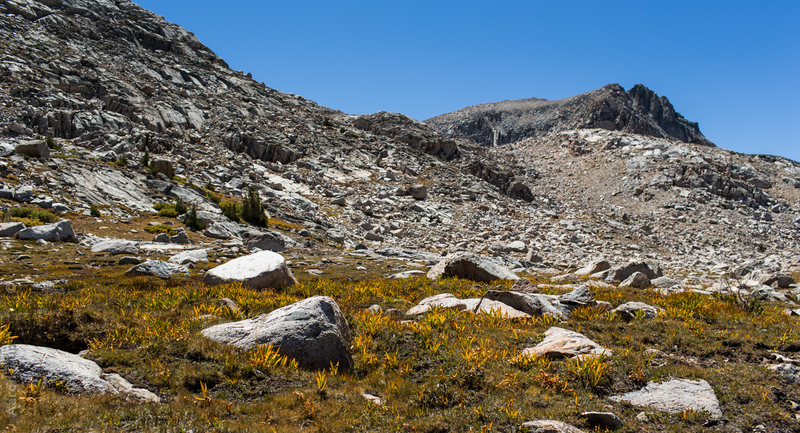 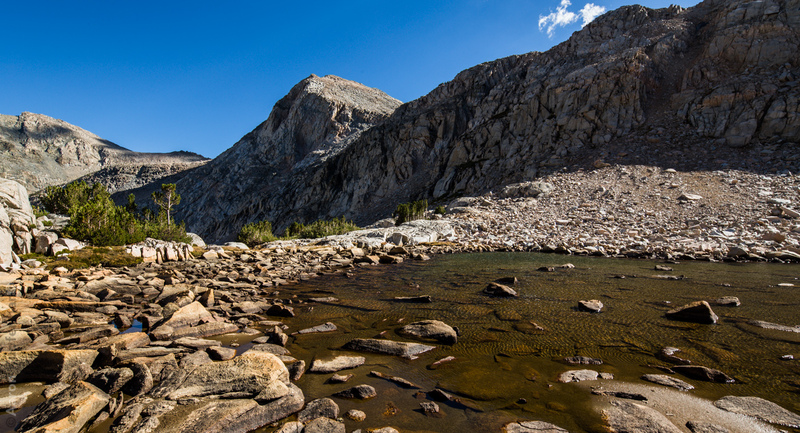 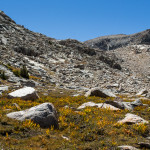 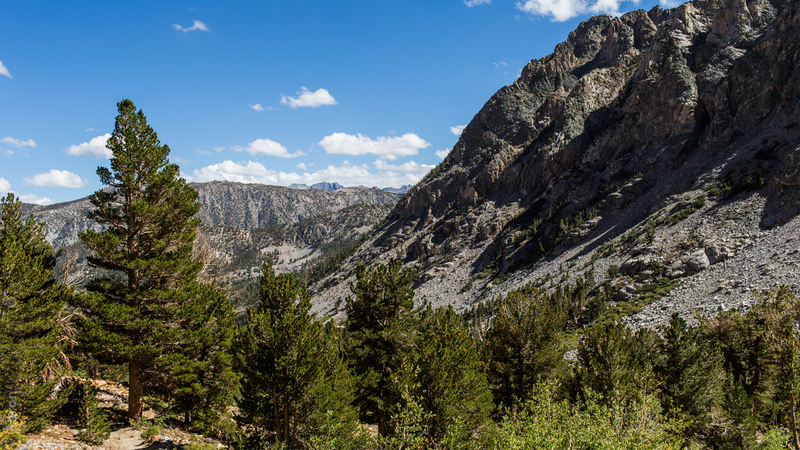 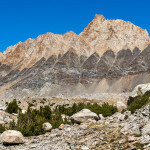 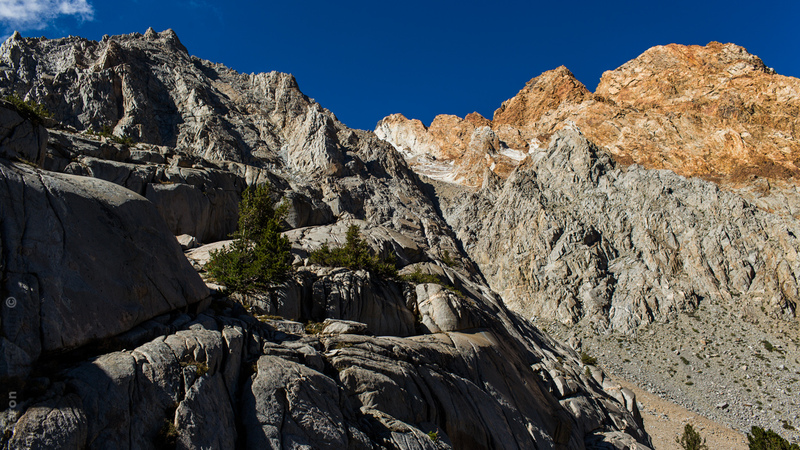 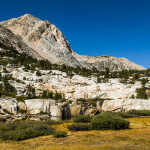 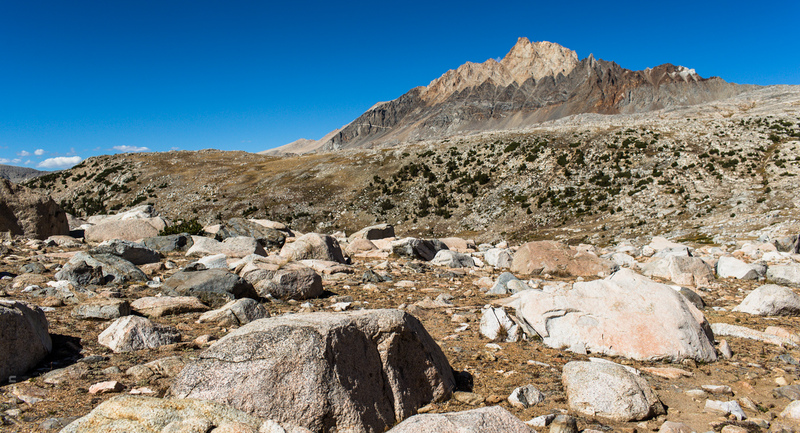 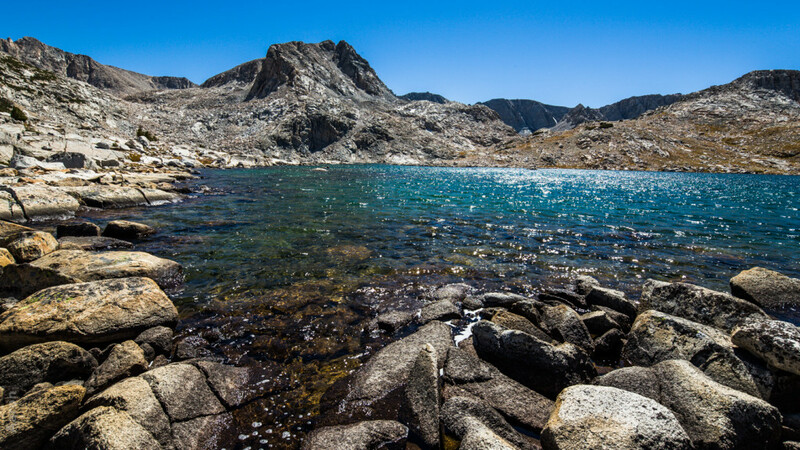 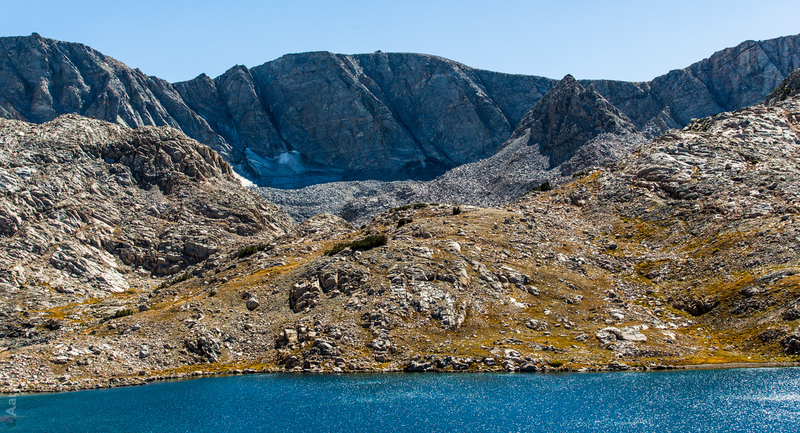 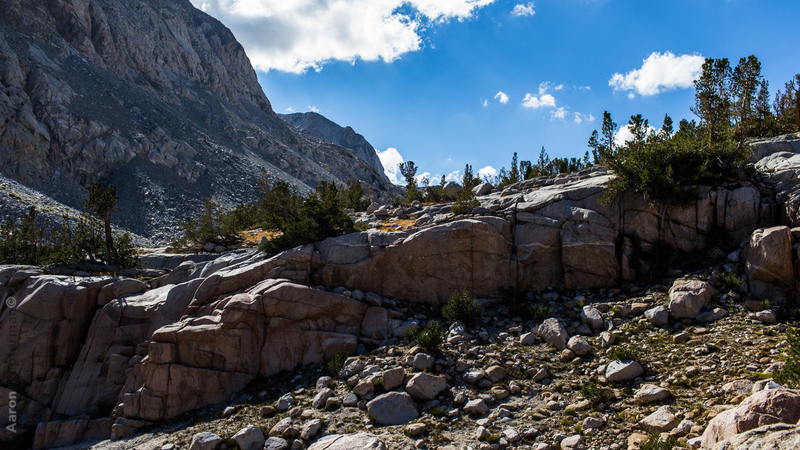 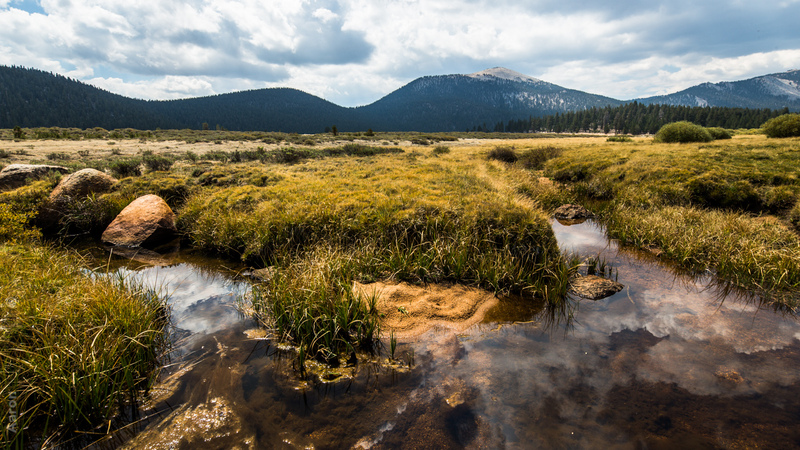 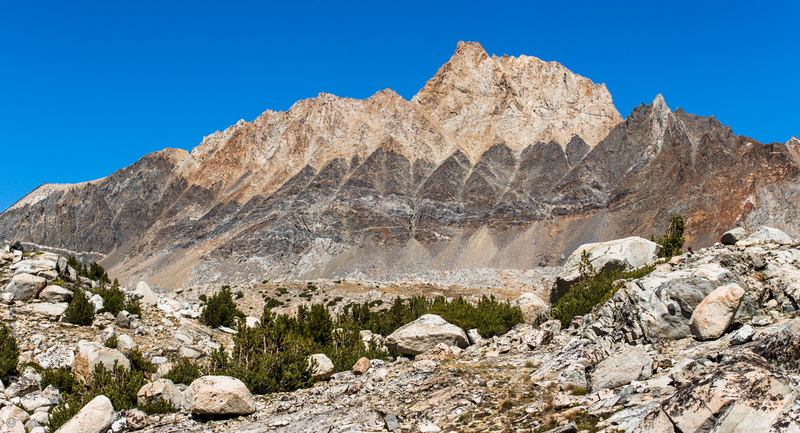 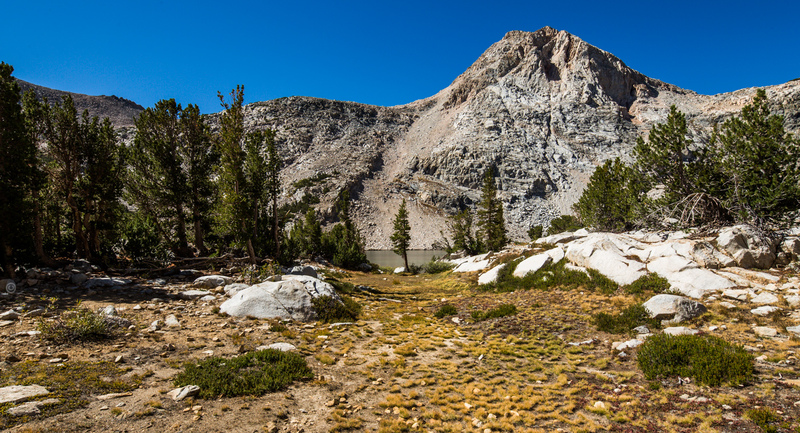 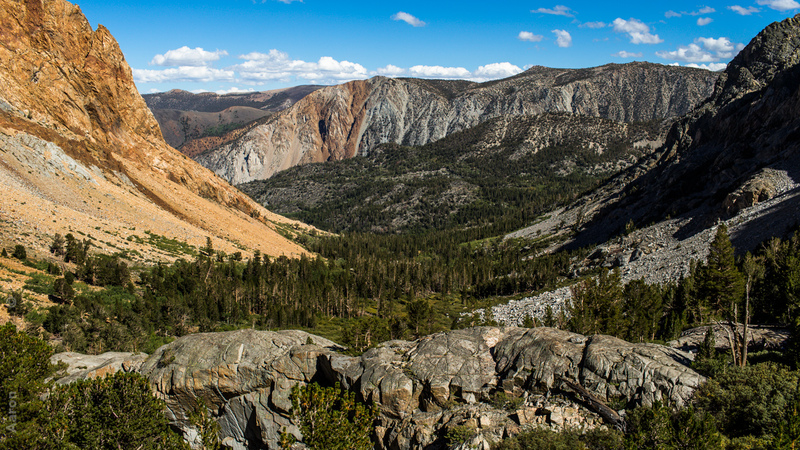 This year takes us to Piute Pass, a pass which leads into the Humphreys Basin, a very broad glacial basin covered almost entirely by glacial polish. 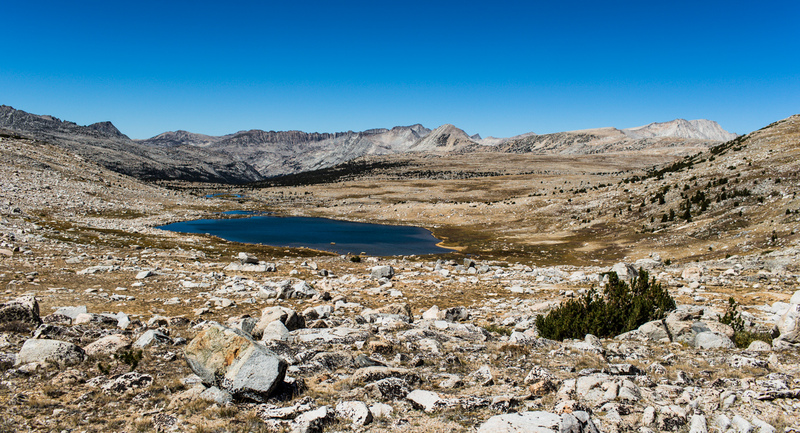 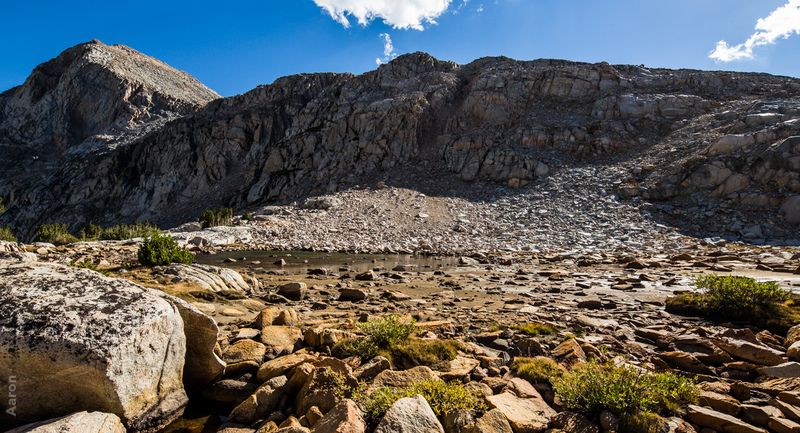 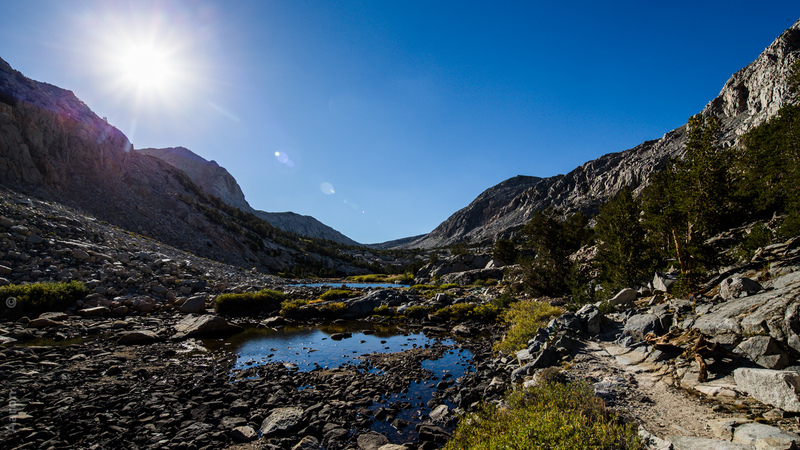 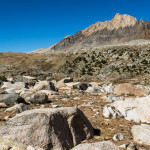 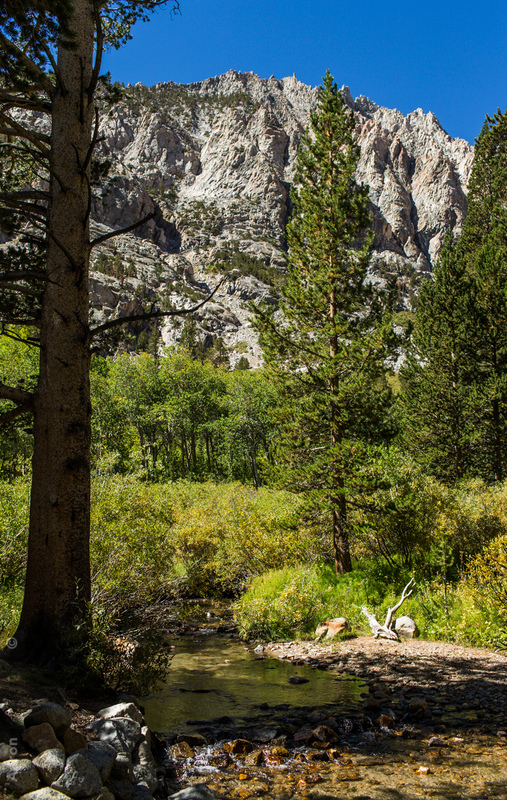 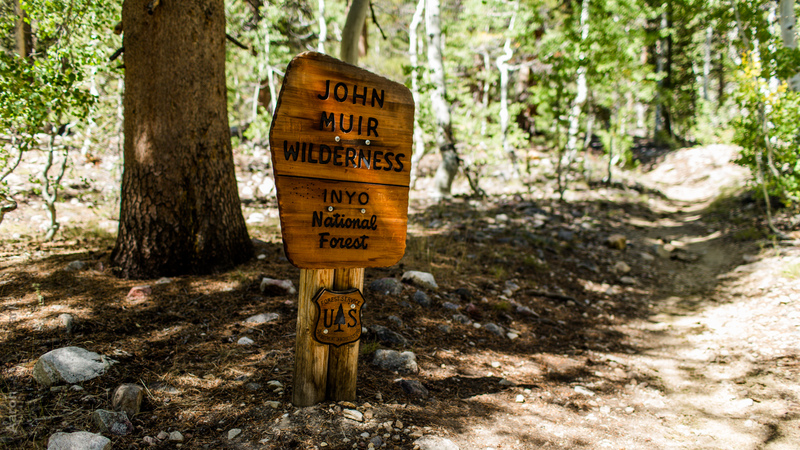 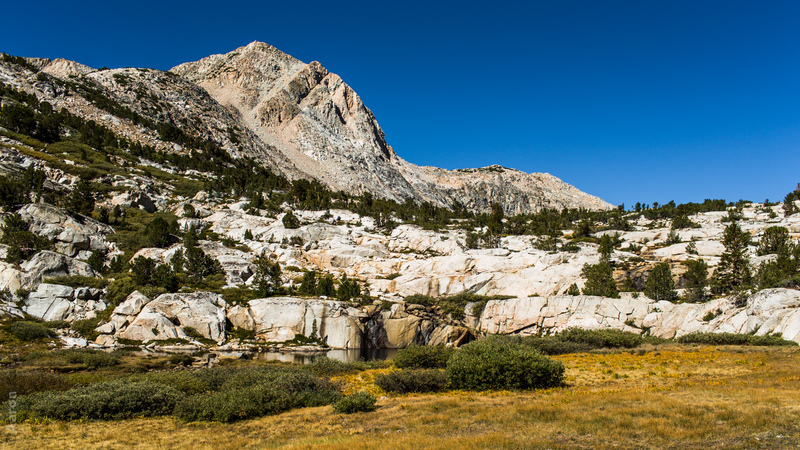 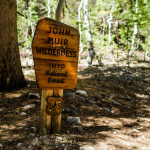 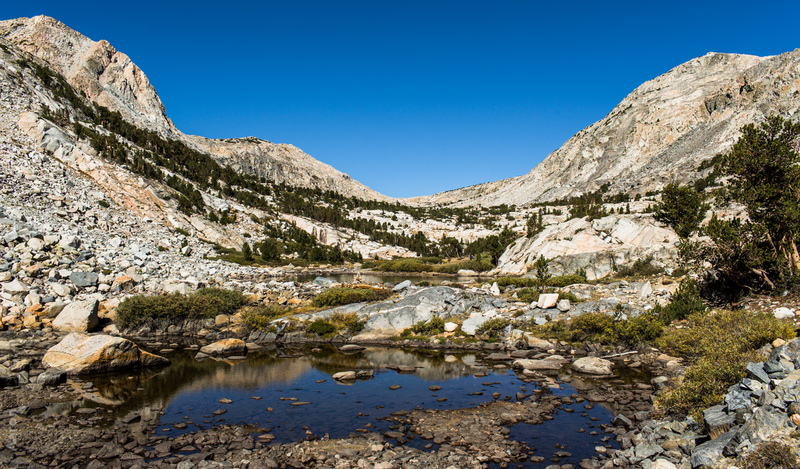 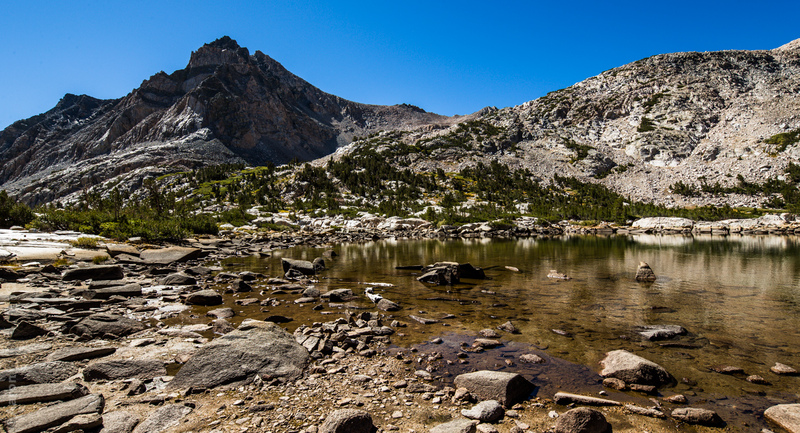 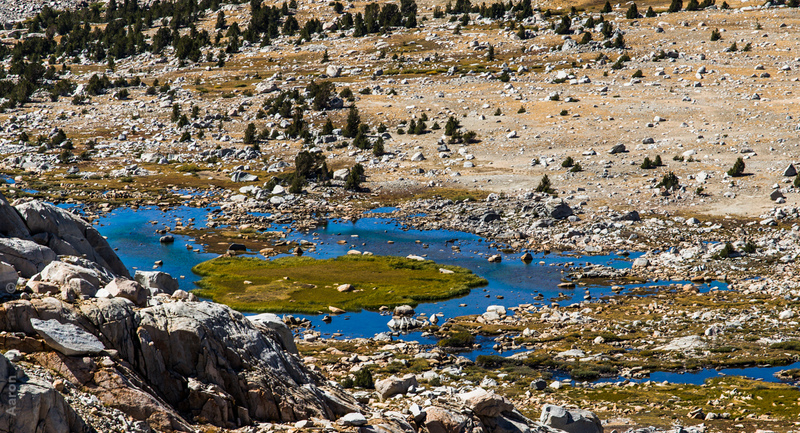 Our initial intent was to head all the way into the basin over the Piute Pass and set up a base camp at Muriel Lake. 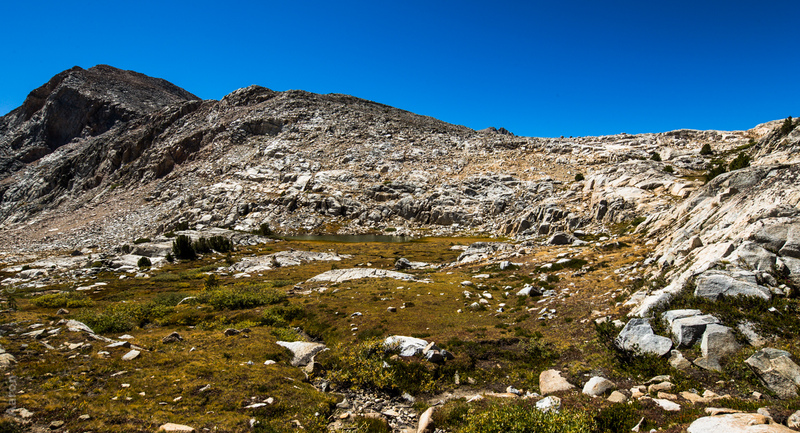 Unfortunately, the fact that we spent zero time acclimating to the difference between our morning elevation of sea level and our trip elevation of 9255′ to the pass at 11423′ really screwed us up. 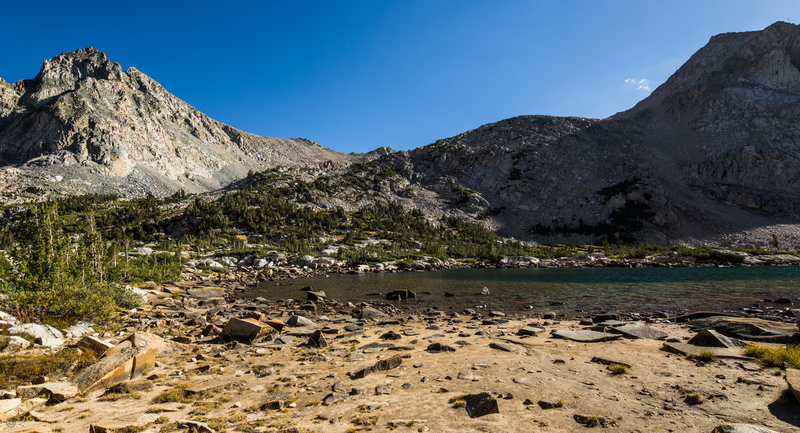 We were both feeling the altitude enough that we decided to stop at the first lake (10743′) and call it a night. 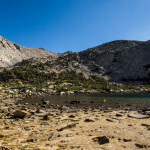 The next day we decided to take it easy and do a day hike with minimal gear up and over the pass to our original campsite location of Muriel Lake. 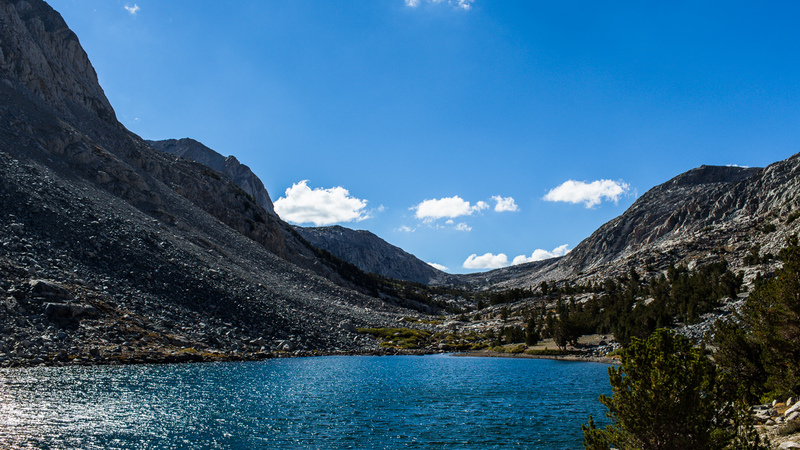 An absolutely beautiful hike, but I was bummed that there were pretty much no clouds to give the sky any dimension. 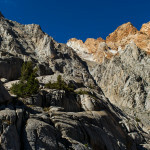 Sunsets and sunrises were about as plain as they could be, so I didn’t even attempt to shoot during golden hour. 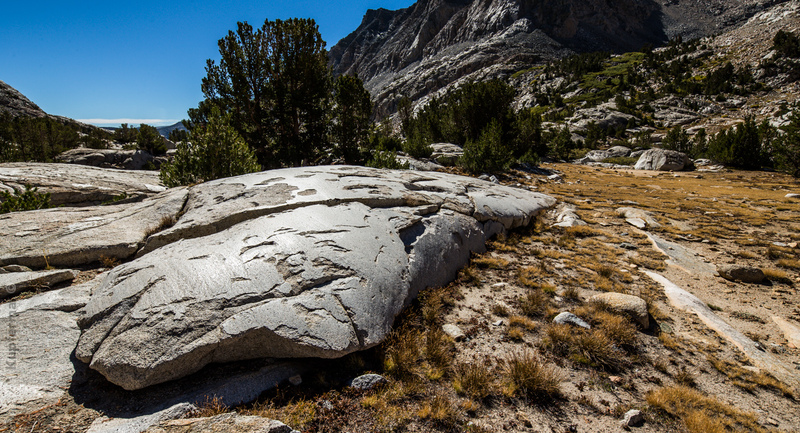 Instead I had to rely on the landscape to speak to me with the mid-day direct sun. 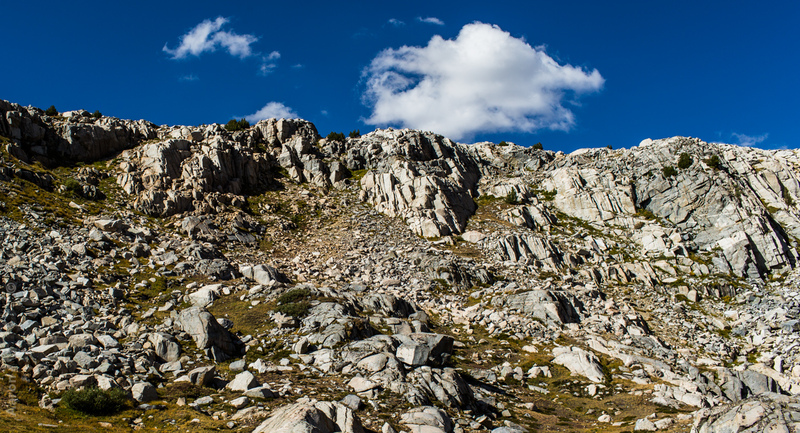 We had initially intended to be out for four days and three nights, but on the third day we decided to head down off the mountain because the altitude was still causing us problems. 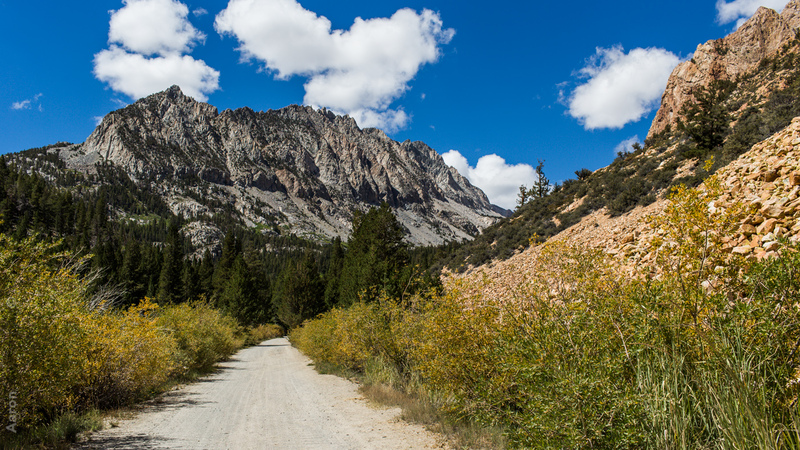 After a nice big lunch in Bishop (elevation 4150′), we drove north for some time at Convict Lake before dinner in Mammoth. 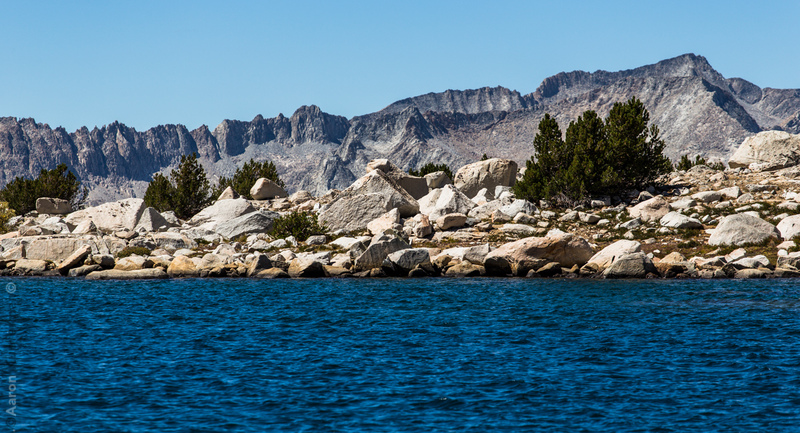 Our family has been going to Convict Lake and Mammoth since I was roughly 5 years old and have stayed pretty consistent with it missing only a few years along the way. 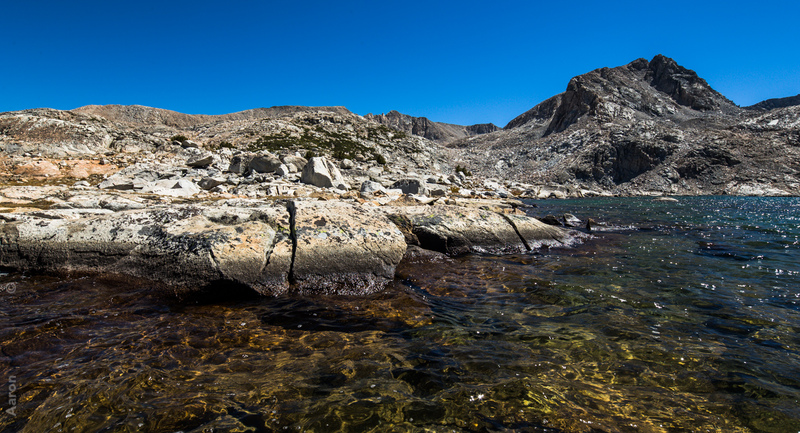 While my dad threw his fly rod around, I wandered the southern part of the outlet stream taking some panoramic photographs. 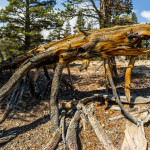 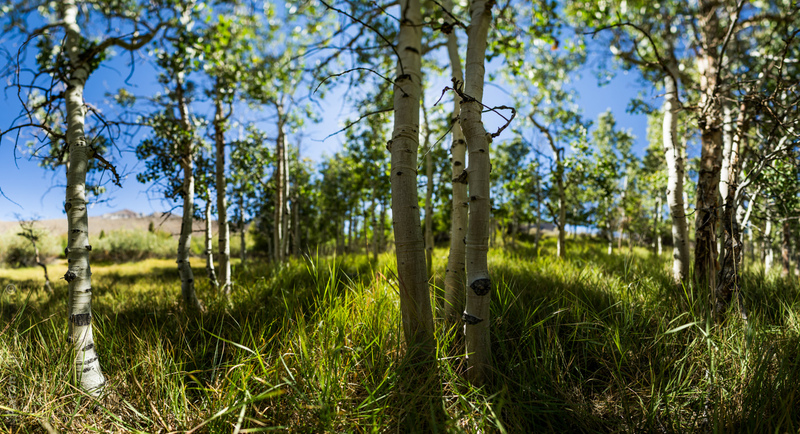 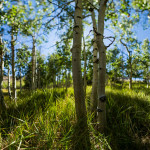 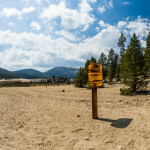 I shot several nice fully circular 360 degree panoramics, but I eventually had an idea to try an ultra wide angle, shallow depth of field panoramic photograph. 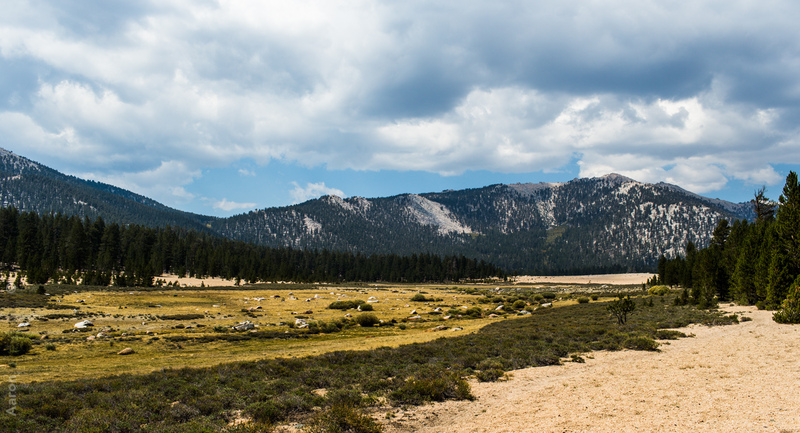 I scouted out a spot with lots of low foreground subjects all the same distance from a central point, so I could put all of those subjects in focus and let the background fall away. 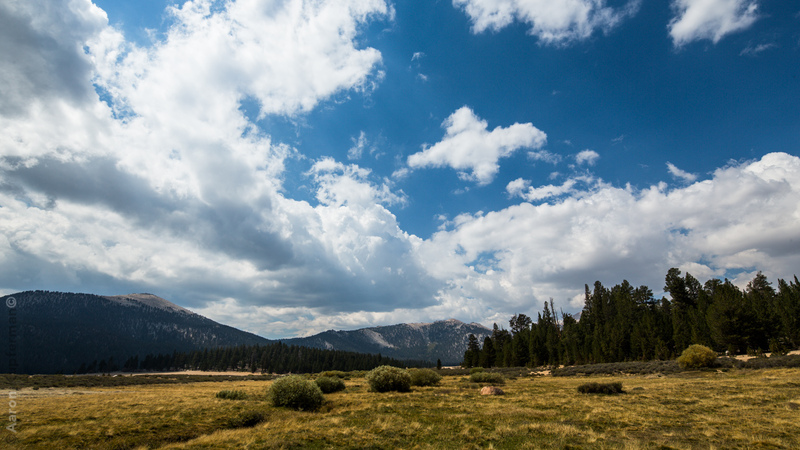 This became photo 56 in this series, and I am now inspired to try a lot more of these. 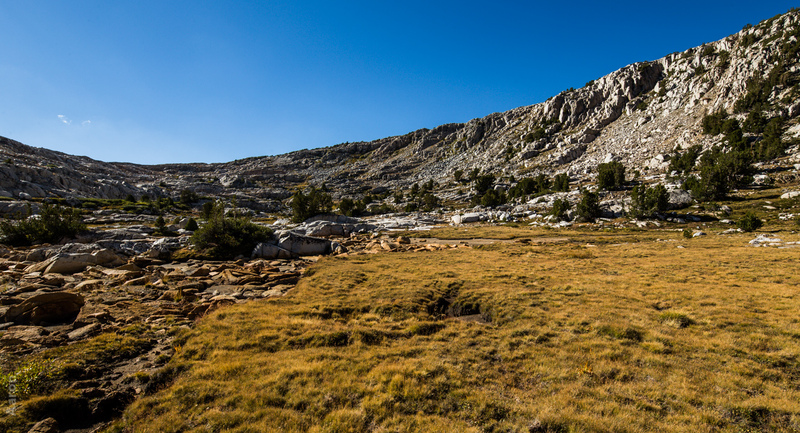 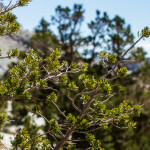 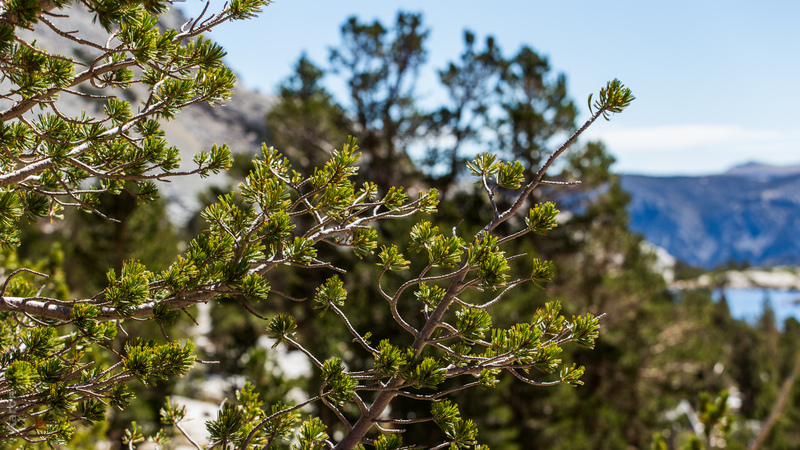 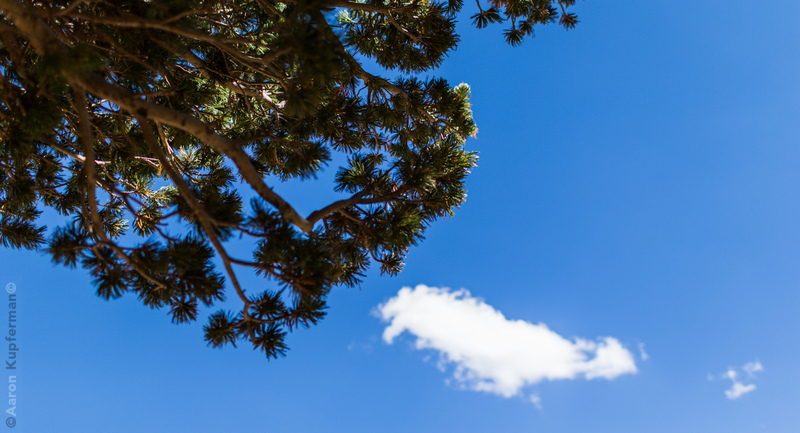 It is about 290 horizontal degrees of view, built from 76 images, shot on a 35mm f/1.4 lens (at f/2), and stitched together in PTGui. 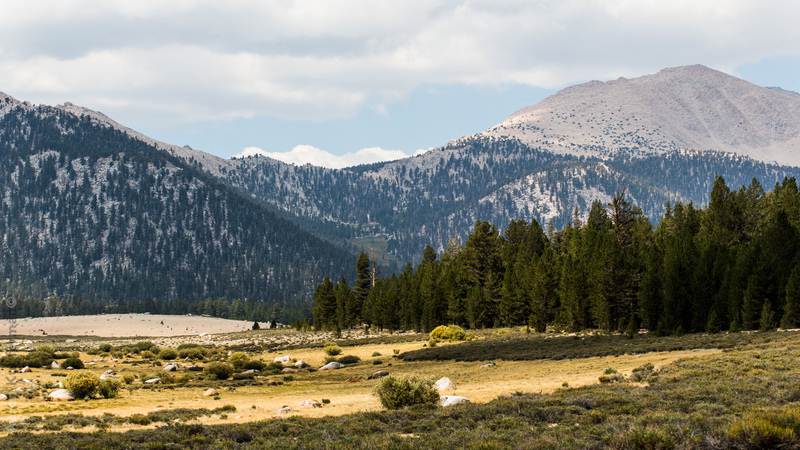 After a nice night in a Mammoth Lakes hotel room and a nice breakfast at the Breakfast Club, I took off back to LA with a stop in mind. 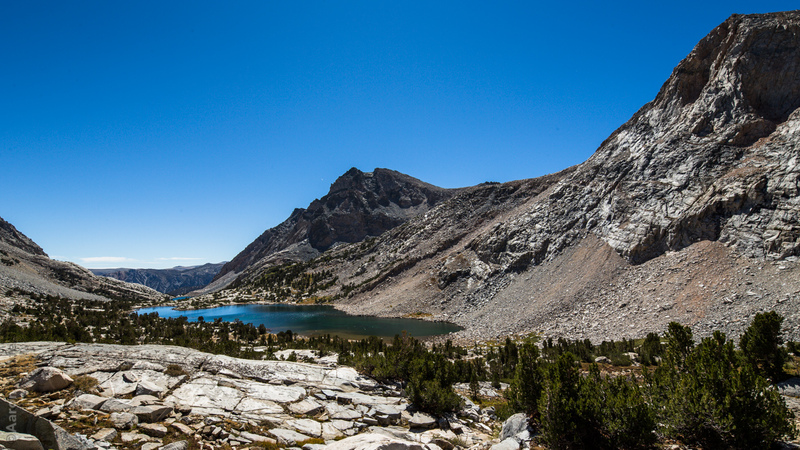 I’ve always driven past the switchbacks of the road up to Horseshoe Meadow and Cottonwood Lakes, but have never had the time to stop and take a look around. 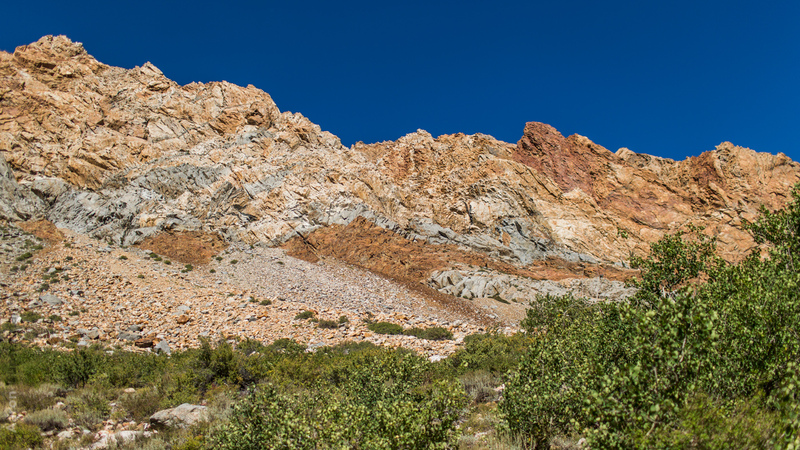 There was not enough time for a longer hike, but I did get a chance to walk around for a few hours checking out the lay of the land. 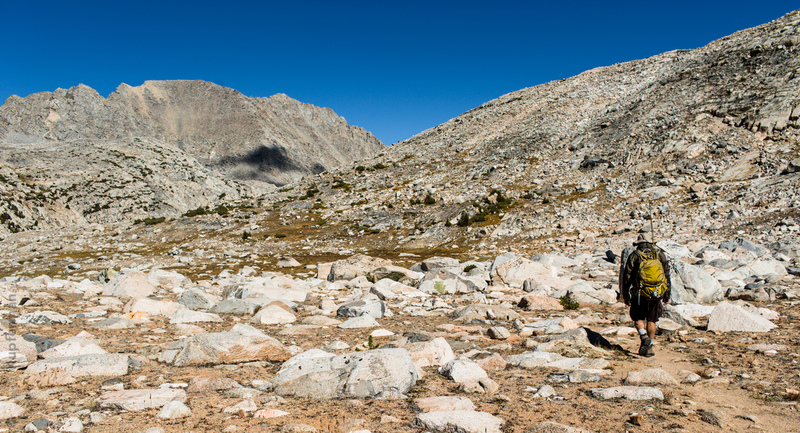 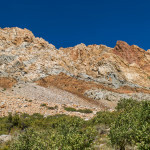 This area is definitely begging to be properly explored and hiked on a future trip next spring. 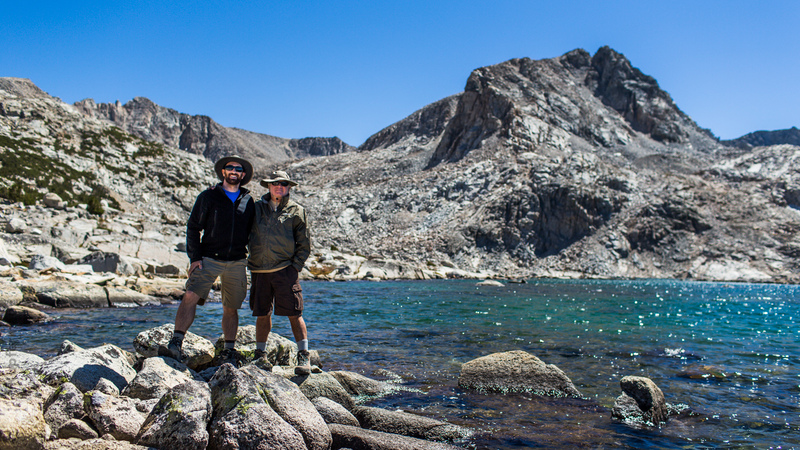 While this trip turned out to be not as photographically oriented, I had a great time getting out into the mountains and spending quality time with my Dad. 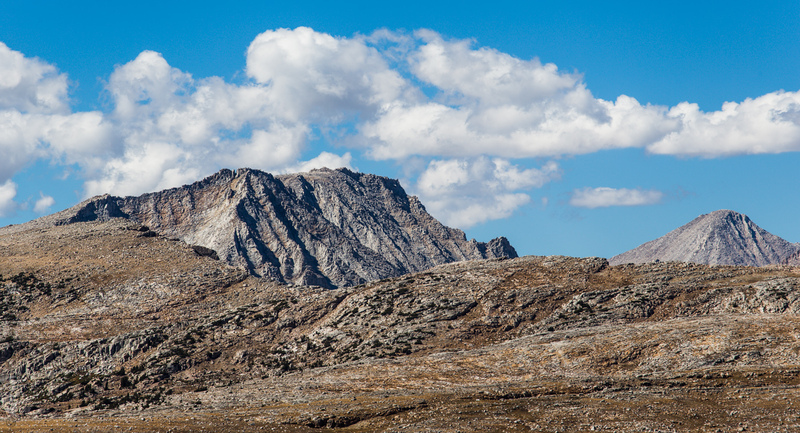 Any decent photos I grabbed along the way are just a bonus.